Public transportation in London is some of the best in the world. The huge network of trains, tubes and buses connect the entire city, making it incredibly easy to get around, even for the headache access from airport to city center. London is an enormous metropolitan city. It covers 1,583km2 and houses over 8.7 million people. In fact, if London were to become it’s own country, it’d be the 96th largest. That’s just a few thousand people smaller than Austria! So it comes as no surprise that the public transportation in London is extensive, frequent and efficient to help move everyone around. Of all the ways to get around London, the tube (more formally known as the London Underground Network) is the fastest and most popular. TFL estimate that they get 1.37 billion passengers on the tube each year. With 402km of railways, the tube was originally opened in 1863 and has become an integral part of London’s culture since. London also has one of the largest bus networks in the world. If the tube doesn’t reach where you’re going, you’re sure to find a bus or three that will. With over 9,300 vehicles in the fleet, London buses cover 675 different routes across the city. 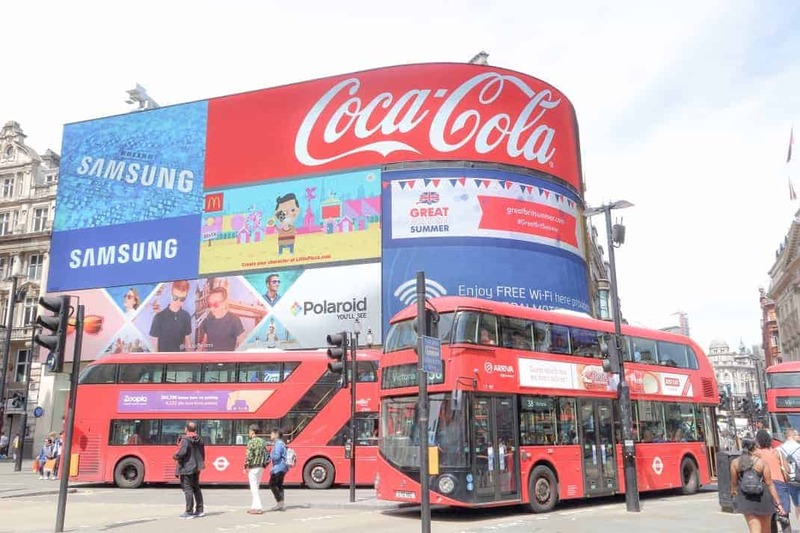 The famous double-decker red buses aren’t just there for the photos either – over two billion passenger trips are made on buses each year in London! 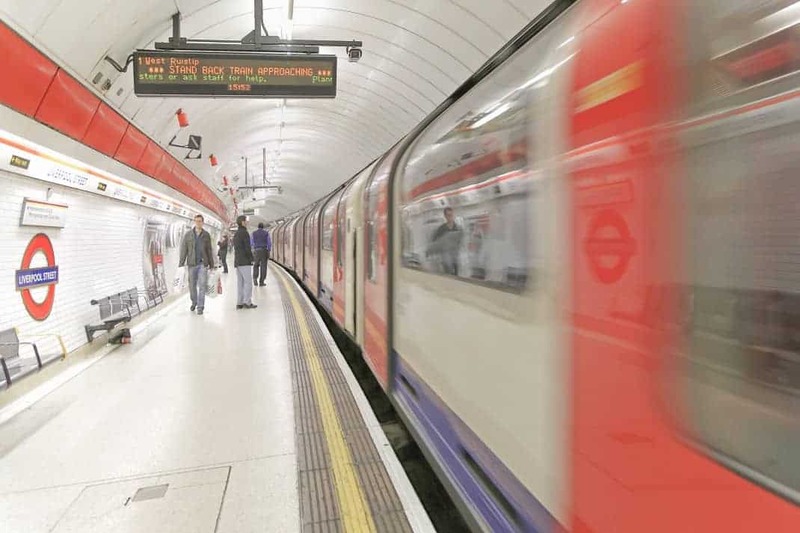 The London Underground, better known as the Tube, is generally the fastest way to travel across London. With 11 different lines which serve 270 stations, the Tube is the oldest underground railway network in the world! Most lines are very frequent and you can expect a train to arrive every 2-3 minutes on average, especially during peak times. Victoria, Central, Jubilee, Northern and Piccadilly lines operate 24 hours on Friday and Saturday nights. London is famous for its iconic red buses. These double-decker buses are synonymous with London’s global image and they’re not just found in tourist hot spots. 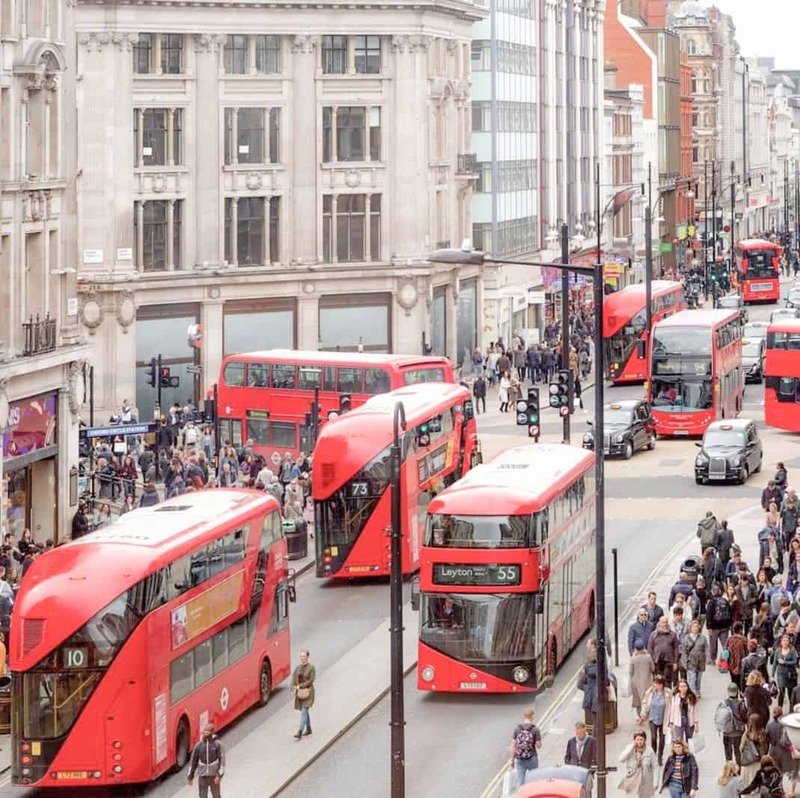 London’s bus network carries around 2 billion passengers each year and is actually the biggest bus network in the world. Buses get their own lanes on most roads in London, making them more efficient than driving. Certain bus lines run all night too, so they’re a very convenitent. LONDON UK – JULY 7 2016: People visit Piccadilly Circus in London. 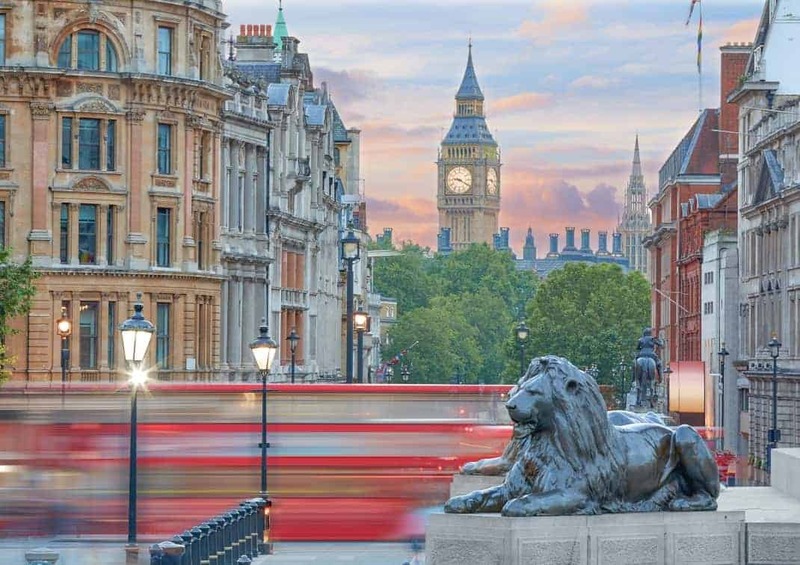 London is the most populous city in the UK with 13 million people living in its metro area. 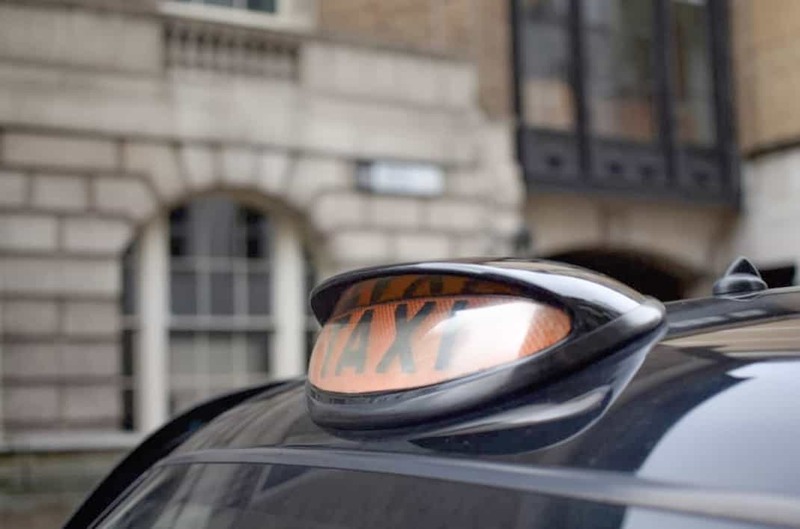 Aside from the red buses, London is also famous for its other iconic mode of transport – black cabs. Black cab drivers aren’t just your regular taxi drivers. They have to study for years to pass one of the hardest exams in the country, memorising every single road in London. That’s what makes black cabs so unique, knowledgable and a joy to ride! The easiest way of travelling on public transportation in London is to use your contactless card or smartphone (Apple Pay or Android Pay). However, international cards can incur high bank fees, so tourists should be mindful of this. 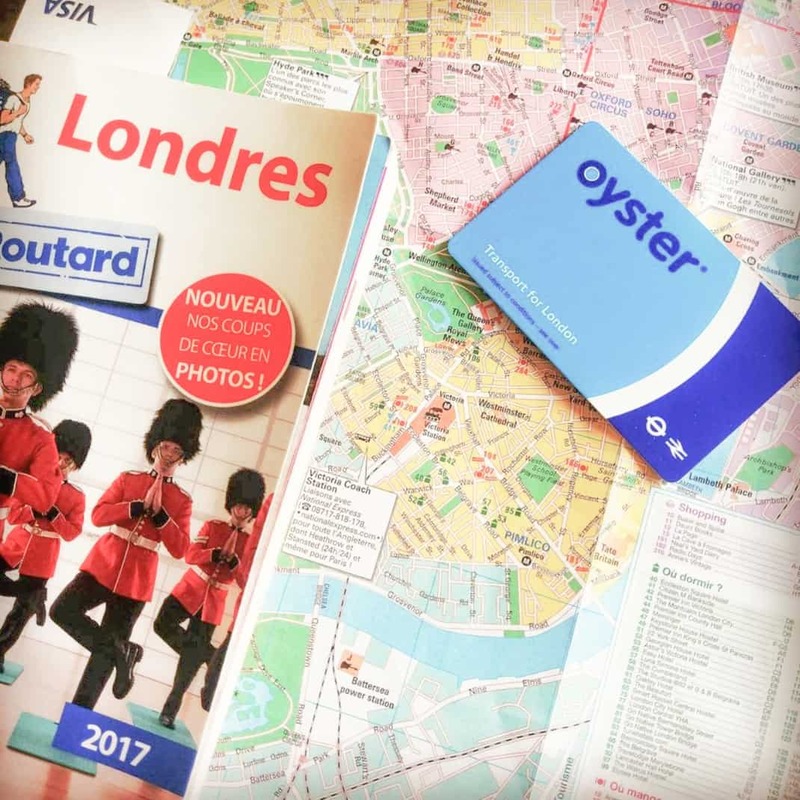 For tourists visiting London, an Oyster card is the best way to travel. You can purchase and top up this smartcard online, or at underground and overground stations. The Oyster card costs £5 but this is refundable if you return the card. The London Tube is quite easy to navigate. Platforms are clearly labelled with plenty of maps and TFL staff to help you get to where you’re going. 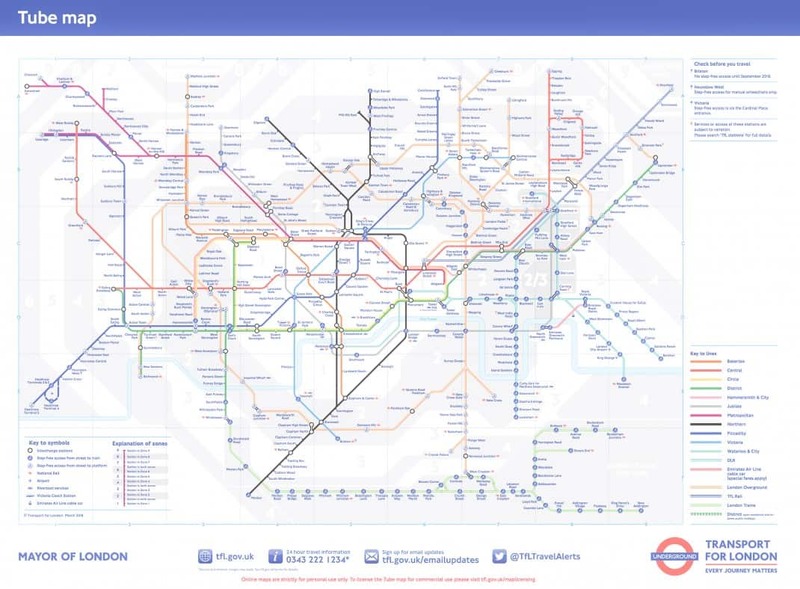 Each Tube line has a different colour, but if you want to be a true local, use the names of the lines instead! You can save time on topping up your Oyster card by downloading the app, or using your contactless bank card. You can take folding bikes (e.g. Brompton bikes) at any time on the London Underground, but there are more restrictions on full-size bicycles. Pets are allowed on the Underground network. Dogs must be well behaved and on a leash. Avoid peak commuter hours Monday – Friday when the Tube gets very tight and sweaty. When it comes to escalators – remember to always stand to the right. Londoners take this rule very seriously. The London Underground lines generally run between 5am and midnight on Monday to Saturday. On Friday and Saturday nights, the Victoria, Central, Jubilee, Northern and Piccadilly lines operate 24 hours. Sundays have reduced operating hours. Also, be sure to check TFL updates for any delays or planned engineering works. London’s buses don’t sell tickets onboard, so you have to be sure to have a valid Oyster card or contactless payment card before boarding a bus. Some modern buses allow you to enter through any door and simply tap on to any of the card readers. Older buses require you to enter through the front doors only, where you’ll have to tap on infront of the bus driver. With 675 lines across London, navigating London’s bus routes can seem a little overwhelming for visitors. Citymapper or Google Maps is the easiest way to navigate the bus network. With so many lines to choose from, a simple internet search will make it easy and efficient for you. If in doubt, just ask the bus driver if they’re going to where you need to go – they’ll be happy to help. Remember to only ‘tap on’ your card (oyster/contactless) on entry to the bus, not on exit. You can make unlimited bus journeys for free within one hour of first touching in. You’ll still need to ‘tap on’ to every bus you get on within that hour timeframe, but you won’t be charged. You must press the red ‘stop’ button to ensure the bus stops at your station. 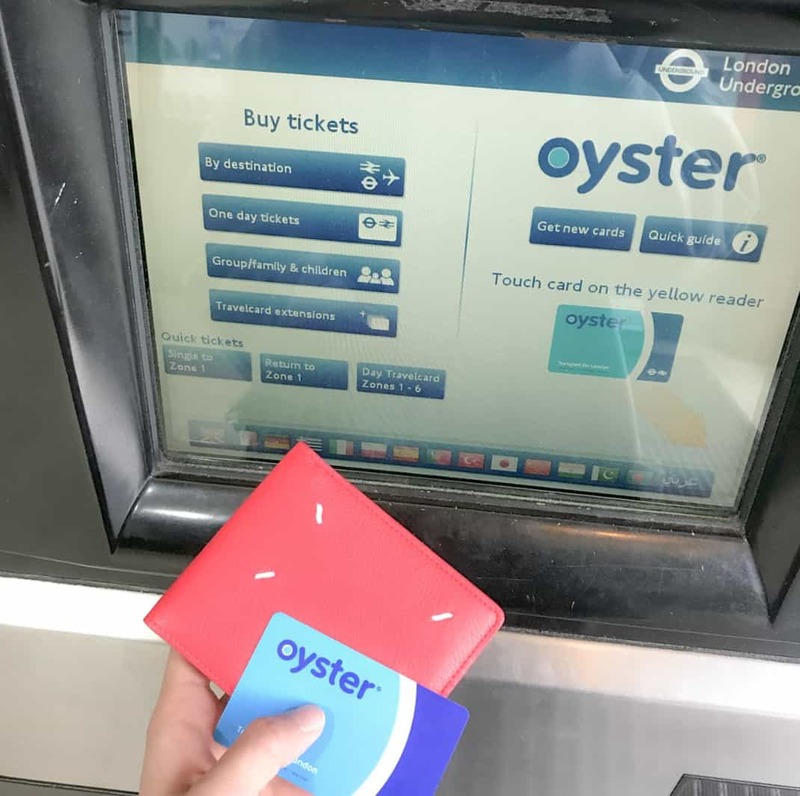 Oyster cards can be purchased online or at main Tube stations around London. They cost £5 which is refundable if you return the card. You can avoid the ticket queues on arrival by buying a Visitor Oyster card online. These prepaid cards are then sent to your address anywhere in the world before your trip to London. 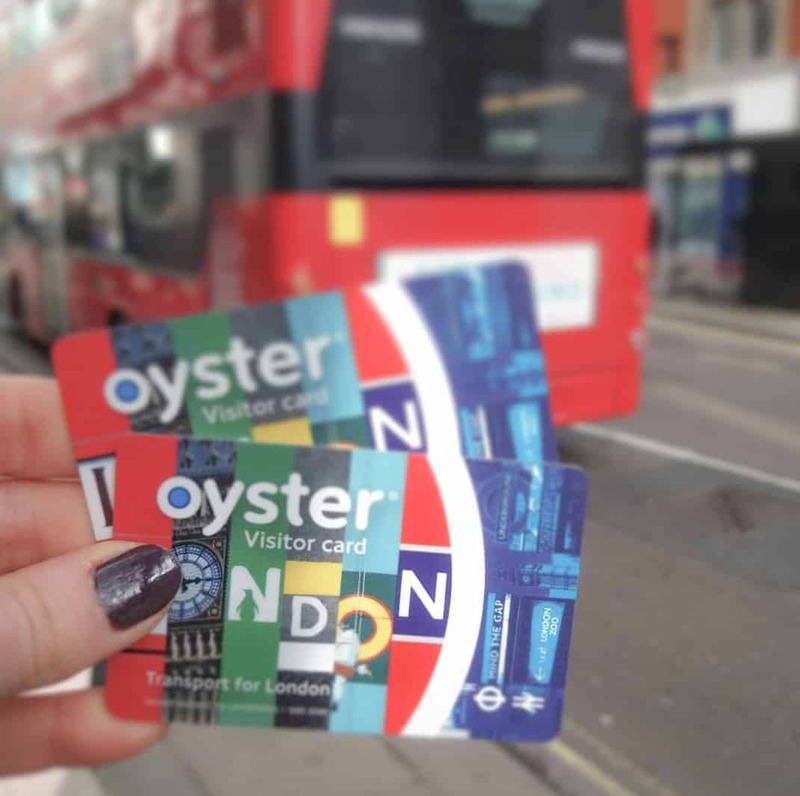 To use public transportation in London, you’ll have to use an Oyster Card or a contactless payment card. There are also travel companies such as Big Bus Tours, who offer ‘hop on, hop off’ tour transport in London. These buses are limited to specific routes and generally only take you to tourist attractions around the city.